TokenLend is being created by the team of developers, inspired by one dream. Having more than 15 years of software development experience, with portfolio full of world famous products like DAEMON Tools, we believe that we have more than enough resources and will to deliver the world’s best service for people. Loan Portfolio – TokenLend platform will be released with pre-arranged list of secured loans from trusted EU loan originators, and user-friendly interface for our future partners. At the first stage we will accept only mortrage loans with the most trustworthy real estate properties as a pledge. It will allow to achieve best risk/income value for our users. 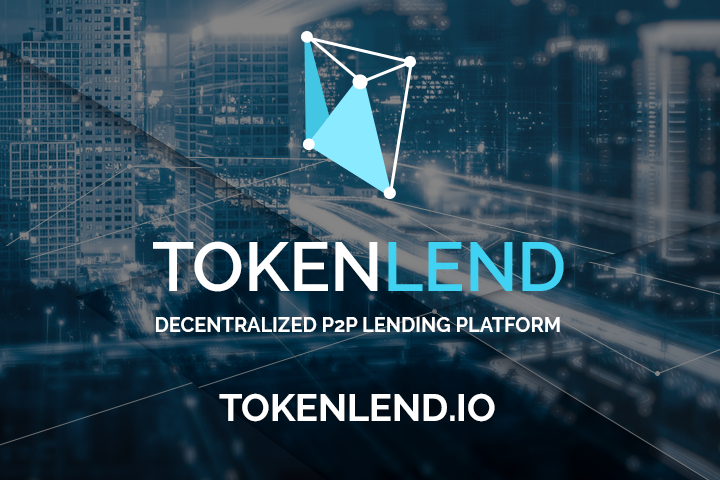 Secondary Market – TokenLend will have a Loan Participation Note (LPN) market (i.e. “Secondary Market”) where users can trade ongoing investments for immediate liquidity. Decentralized Architecture – Platform’s business logic will utilize all benefits of blockchain technology by using Ethereum distributed ledger. Representing every object as a smart-contract and performing all operations as token transactions between Ethereum addresses will help to achieve outstanding stability, integrity and invulnerability of system data. The loan originator adds a new loan to the system via the Dashboard. After the loan details are validated and successfully verified by platform personnel, the loan smart contract is created and published onto the platform. Users purchase Loan Participation Notes (LPN) for a particular loan by transferring a desired amount of TLN to the loan address. The loan smart contract then generates the LPN contract with a principal value equating to the amount of TLN transferred by the user as well as a personal repayment schedule according to the creation timestamp of the LPNs and loan terms. The LPNs are linked to the user’s ETH wallet address as the beneficiary of the interest payments. The total amount of TLN received from all users are transfers to the Loan Originator’s account as the loan principal. In accordance with the loan smart contract schedule, the loan originator sends interest payments and principal repayments (if applicable) total to the platform. After performing the last transaction by the loan originator, the LPN contract closes the repayment schedule and sends the interest along with the remaining TLN principal to the associated account. The loan is then considered closed, the wallet address association is removed and the LPN contract is considered fully executed. On average, loan originators in EU offer real estate secured loans to borrowers with a 10-14% interest rate. At the same time they are open to accept funds from any available sources with a 5-8% interest rate. This is where TokenLend can come in and securely connect both parties. As a result, platform users have an accessible source of investment opportunities and loan originators have access to affordable funds. The TokenLend business model will provide flexible pricing for both loan originators and common investors. The exact fees will be determined for each individual loan originator based on their health and value of loan portfolio existing on the platform. A “sale fee” will be charged to investors for the successful sale of LPNs to other investors on the TokenLend platform. This fee will apply to both common P2P platform investors and token holders. A withdrawal fee will also be applied for every transaction in fiat currency. TLN tokens are a digital representation of the right to an exclusive membership on the TokenLend platform. TLN holders have a ability to invest the desired amount of funds from their account into any of the available loans listed on the TokenLend P2P platform. The account balance on the platform represents the number of TLN tokens stored in the Ethereum wallet of the member’s TokenLend account at any given time. Start at 20%. Contact us for more details and volume discounts. 75% of tokens will be distributed during the ICO. All unsold tokens will be burned. 14% of tokens will be allocated to the TokenLend founders and core team. 50% of these tokens will be locked* for a 24 month period, and remaining 50% will be locked* for 48 months. 7% of all tokens will be sold during the pre-sale. All pre-sale participants will not only have an opportunity to purchase TLN tokens at special discounts, but will also have the exclusive right to participate in the platform’s beta testing phase and receive investment profits before any other token holders. 3% of tokens will be granted to our legal and advisory team for their contribution. These tokens will be locked* for a 12 month period. 1% of tokens will be allocated for various bounty activities. *“Locking” means that tokens will not be immediately tradable and will not be used for purchasing LPNs within the platform.